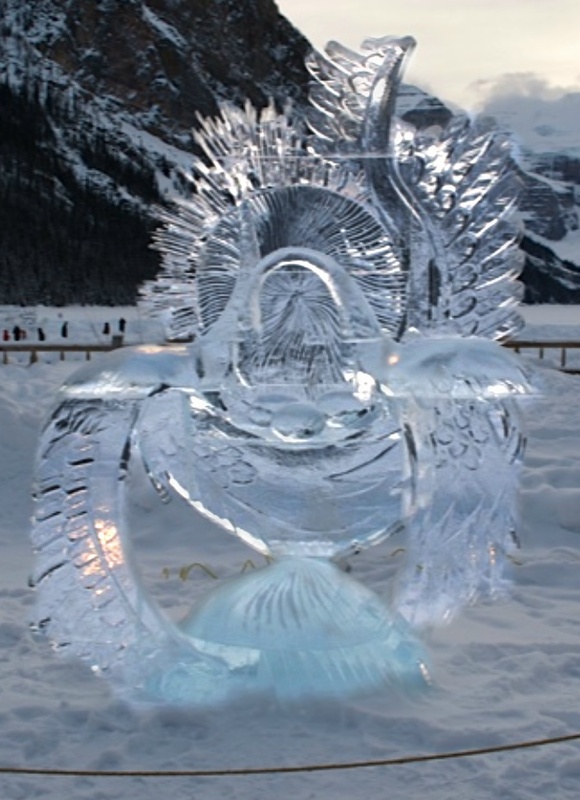 Well, in the end, we didn’t go to the Ice Sculpture show.. I’ve been a couple of times befor e, though, and I loved it! AND, this year, my friend, Jessica went, and she said I could use her pictures!! Jessica and her family went up in the early afternoon, to Lake Louise, to the Ice Show, and then after that, met a bunch of our friends to go sledding at a ski-hill, on their way back to Calgary. We couldn’t go…too bad for us. 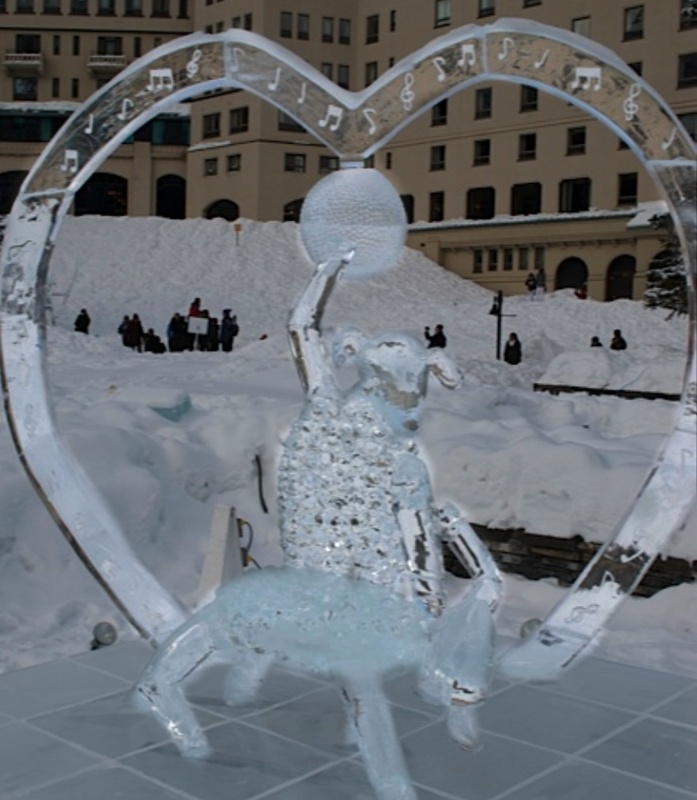 The Ice Sculpting show ended Sunday, January 27th. The ACTUAL carving competition was from the 18th to the 20th. 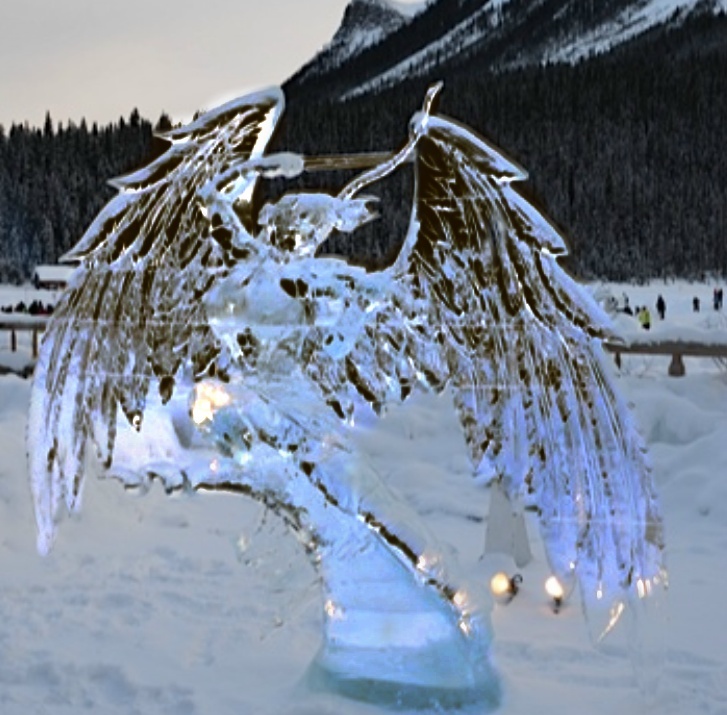 24 sculpting teams from around the world compete for 34 hours, at The Fairmont Chateau Lake Louise, Alberta, using With 300 lbs (136 kg) blocks of ice! The theme this year was “Carve a Song”… awwww! Now I really wished I had’ve gone! 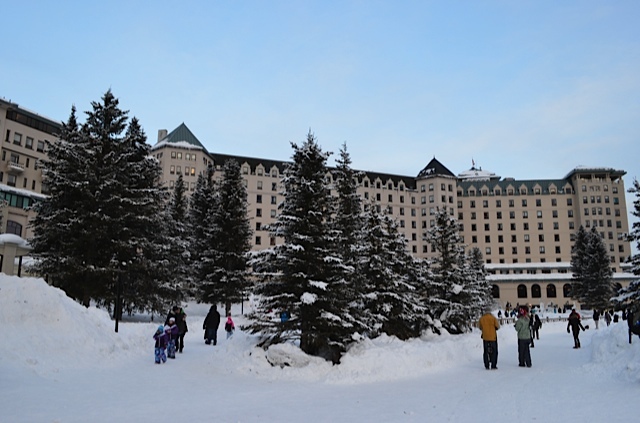 Last time we went, we went from Lake Louise, into Banff, to the Hot Springs. 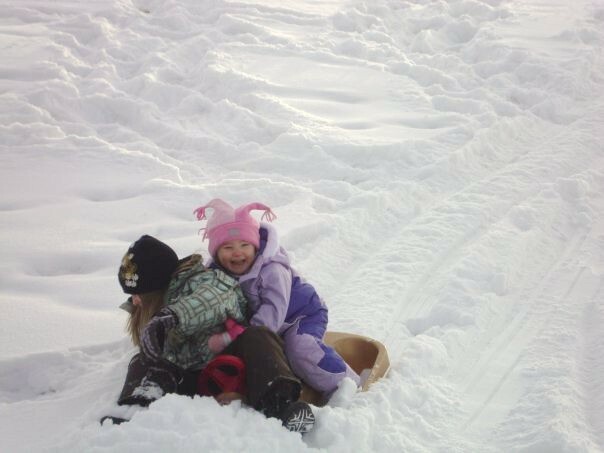 But, this time, Jessica (and entourage) went sledding at Mount Norquay after. 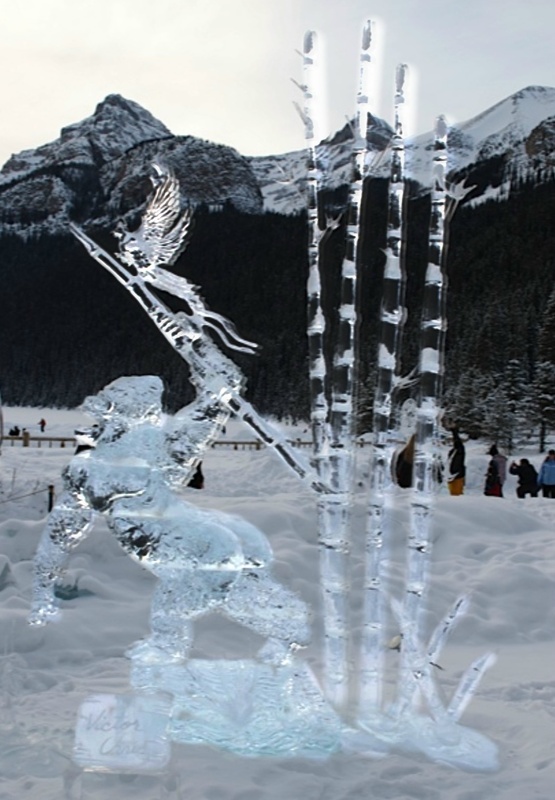 In 1904, Mount Norquay was named after John Norquay (a former premier of Manitoba), who climbed the mountain in 1888. Remember when you’d hit that pot hole or unexpected jump and fly through the air, and it wasn’t (too) scary because you “knew” that you’d (probably) land on the innertube when you hit/landed? When I first came to visit Peter, he and his friend s were tubing down … I guess it was a jeep trail.. it sort of looked like our driveway, but with a cliff on one side. The plan was for everyone to line up on the cliff-side and prevent the tube and rider from going over the edge when we rounded the corner.. It’s hard to believe we were (technically) adults! Still one of the greatest memories ever! Tube Town doesn’t rely on human fences, and doesn’t have random pot holes. 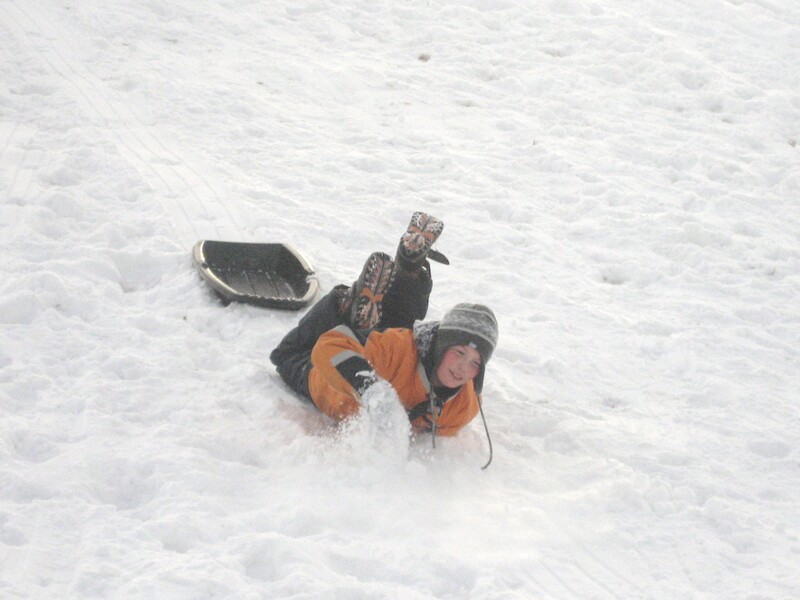 ALSO, you don’t have to lug your tube back up the hill by yourself! There’s a magic-carpet ride back up to the top! Luxury tubing! 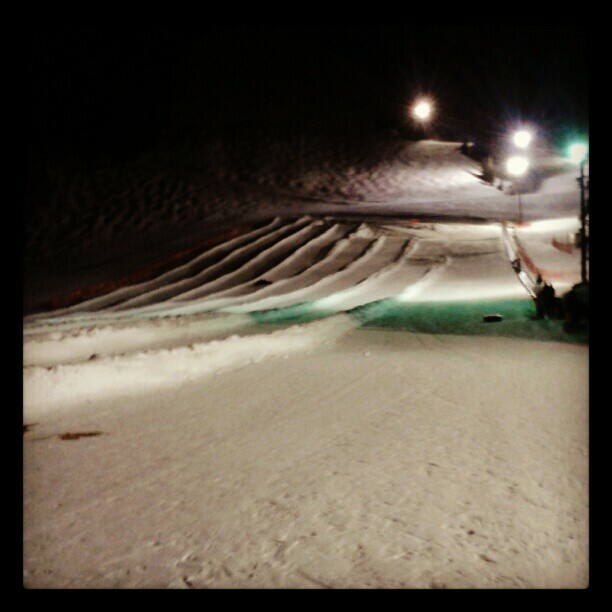 NEXT TIME, I’m going FOR SURE!! !